Children know nothing of fear of aging. Up to the age of about eighteen or so (give or take a bit), we just can't wait to be older. So why do you find yourself studying your face in the mirror, looking for signs of wrinkles and crow's feet? 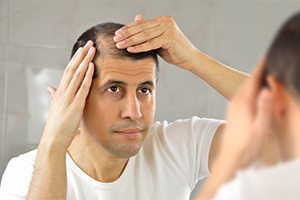 Checking every hair on your head for the first signs of gray? Hoarding a shelf full of potions and lotions which have all promised to turn back the years and keep you looking young forever? Youth is beautiful, we can all agree. But it seems to have become the only form of beauty that is acceptable. 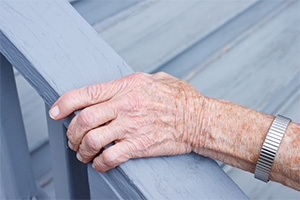 Aging - the most natural process in the world - seems to have become taboo. You only have to look round you to see why. Ubiquitous images of extreme youth peddle a powerful (and not so hidden) message that young equals beautiful and beautiful equals good. Who wouldn't want to be 'good'? Besides, the beauty industry is falling over itself to help you achieve that 'goodness'. Celebrity culture makes the situation even worse. The media take a perverse delight in focusing on every little sign that our idols are showing wear and tear. Wrinkles, sagging jaw lines, uneven skin tone, gray hair are all seen as personal weaknesses that no self-respecting person can afford to display. Unless you're a man, of course (it's different for them). So it's no wonder that so many women find the fear of aging taking over, causing misery and heartache. What they really fear is losing their identity and becoming a sort of 'non-person'. Aging is equated not just with loss of youth (and therefore beauty) but also with loss of independence, worry about financial security, and the prospect of decline. And what does all this pessimism do to us? If you feel very negative about aging then you feel pessimistic about your future in general. So, practically speaking, worrying about aging is only likely to make getting older more difficult than it needs to be. 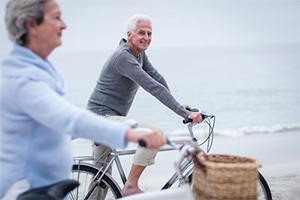 You can make the most of whatever age you are by avoiding smoking (an age accelerator if ever there was one), eating sensibly, drinking wisely, sleeping well, taking exercise and avoiding too much sunlight. Overcome Fear of Aging can help you escape the psychological grip of the general 'youth idolatry' and stop fear of aging from bringing you down. You will be surprised how quickly you can regain a balanced perspective on living and growing older happily. The session will get you feeling super relaxed, recharged and optimistic about your future and your place as an active participant in society. You will feel so much less fearful about aging and more relaxed with the natural process of living longer happily. Download Overcome Fear of Aging now and begin to really enjoy being alive. You can listen on your computer or device or via our free app which you can access when you have completed your purchase. (1) Cited in The Healing Brain by Professor Robert Ornstein, 1990. Fear of Aging for Women has been purchased by 254 customers.